Ladies and gentlemen, it is with great pleasure that introduce my client for this edition of Finisher Friday, the Beast Incarnate, the Conqueror, the 1 in 23-and-1, a former King of the Ring, a former Royal Rumble winner, the former Undisputed UFC Heavyweight Champion, the former Undisputed WWE World Heavyweight Champion, and the only man who has his own personal advocate, Brock Lesnar! 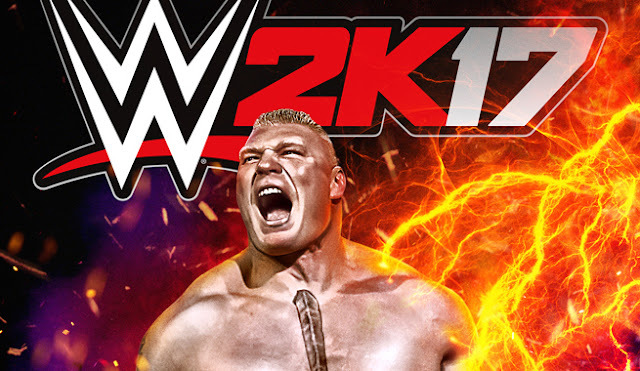 First off, congratulations once again to Mr. Lesnar for being named the cover superstar of WWE’s upcoming WWE 2K17 video game. Honestly, this man needs no introduction, but to shed some light for not-so-rabid fans, it’s easier for Brock Lesnar to introduce himself. Just destroyed three people, nothing special. Just beating the Great One to become the youngest champion in WWE history at the time, nothing special. Just beating a one-legged wrestler, Zach Gowen (much respect, by the way) in front of his own mother. Again, nothing special. These are just a few clips from when Brock was being promoted as the Next Big Thing, the pain in "Here Comes The Pain," the man who has broken rings with the Big Show, thrown super-heavyweights around like sacks of rice, and of course the only man to have beaten The Undertaker on the Grandest Stage of Them All, WrestleMania. A versatile athlete ever since his college days at the University of Minnesota, Brock has brought his mat-wrestling background with him, his MMA knowledge, and basically his beast-like 6'3", 270 pound frame to wreak havoc in WWE. If you watch Brock Lesnar’s matches, there isn’t anything this guy does that doesn’t seem to not hurt. He redefined what it meant to be a heavyweight in the world of combat sports entertainment, with his all-universe blend of size and explosiveness. And as the prototype for a new breed of warriors, Brock needed something that both shows off his physical superiority and his technical expertise, which is why we were gifted with the F5. But let’s be realistic, doesn’t the move just look rough? Like there’s no need to dissect it, really, but well, we still will. Rumors say that inspiration of the name of this move actually came from tornado intensity ratings based on the Fujita scale. An F5 category tornado is the most dangerous, with wind speeds reaching in excess of 300 miles per hour, causing violent damage, lifting homes off foundations and carrying them considerable distances like they were nothing, tossing automobiles as far as 100 meters like they were Hot Wheels. In short, exactly like Brock Lesnar. In the simplest of terms, the F5 is executed by doing a fireman’s carry into a spin-out face buster. For professional wrestlers, it is simply called a reverse TKO (Total Knock Out). Actually, despite it looking painful, the move is one of the safest in wrestling. But as I’ve pointed out on my last article, every finisher is a two-sided coin: its execution and its sell. The execution is the easy part. That’s basically all Brock, and what Brock does so well. He's an inhuman physical specimen known to deadlift nearly 600-pounds in the gym. It's essentially him lifting his intended victim on his huge shoulders, bracing his hands both on their inner leg and behind their necks to guide their trajectory, then tossing them with a burst of torque from his hips. The sell falls solely on the superstar on the receiving end because that’s simply him bracing for impact. And rarely is there need for theatrics. After the splat, everyone just lies either on their face or pops over onto their back, and everyone is convinced he's gone up to that great wrestling ring in the sky. What’s particularly impressive as well is that Brock can smash just about anyone with his F5, from the Big Show to Rey Mysterio. It's a spectacle of strength, and one of the most glorious moves a wrestling fan can see. Will we see it come #WWEManila? I damn hope so. Brock delivers an F5 to a shark, you read that right, A SHARK! Brock Lesnar's F5 is one of the most protected moves in all of wrestling. But it's one of a kind as well. Using the move isn't as simple as following the same mechanics. Take Matt Morgan for instance. Standing seven feet tall and weighing 330 pounds, he's an even more imposing mountain of a man than even Lesnar. But despite his physical advantages, even his F5 to the Big Show looks like it's missing something. Is it the theatrics? 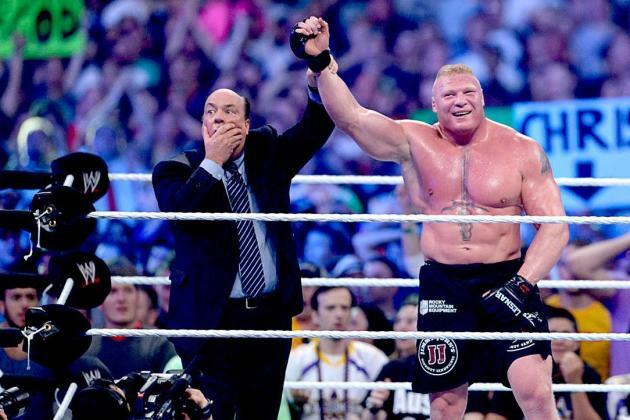 Is it the mystique of Brock Lesnar? Either way, the one thing we know is that given the choice between taking an F5 or getting our houses blown away by an actual tornado, we'd rather take our chances with the tornado. What's your all-time favorite F5, Henrinites? Do you think there's anyone in wrestling today who can do the move as well as Lesnar does? Let us know in the comments below! Gene Ferrer (@thegeneferrer) is Smark Henry's newest contributor, and the new king of finishing moves. He isn't actually a wrestler, but is pretty good at figuring out what would hurt like hell in real life.